Monte Zoncolan. Giro d’Italia 2014 Stage 20. The summit of Monte Zoncolan. 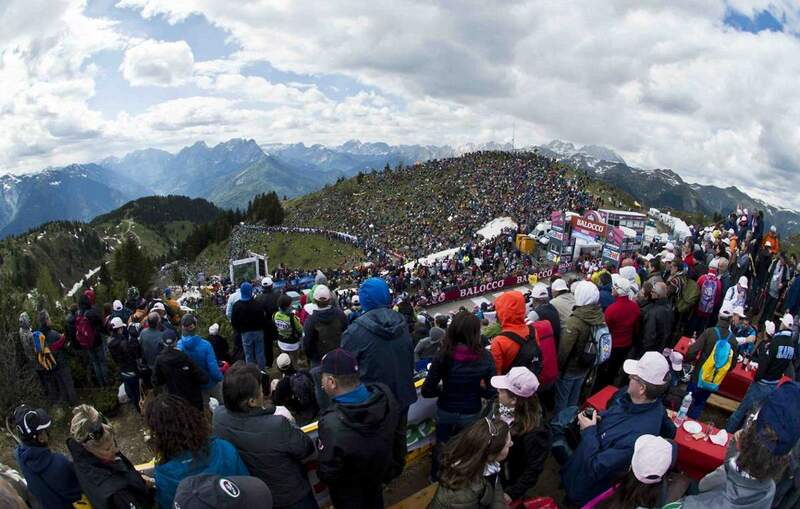 Giro d’Italia 2014 Stage 20. May 31, Saturday. Michael Rogers (Tinkoff-Saxo) attacked out of a very early break to win at the top of Monte Zoncolan. Enthusiastic fans on the slopes of the Zoncolan interfered with many of the riders, particularly Francesco Bongiorno, who was riding with Rogers until an over-eager tifosobrought him down.